I think they are trying to say, Aus was first to receive the signal, and everyone else in the world got the rebroadcast. 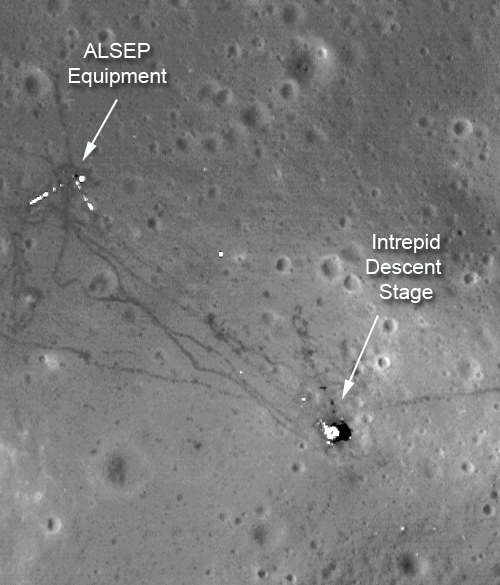 There's a lot more to the LRO photos of the Apollo landing sites than initially meets the eye. When "flipping" through a sequence of images taken of the same site but at different times of the lunar day, you can see the flag's shadow creeping along the ground. The shadow appears detached from the ground, which correlates with the fact that the flag is positioned on a pole. Also, the cables leading to the ALSEP equipment (along with some of the equipment itself) glint in the Sun in some of the images, due to them having metallic surfaces or being wrapped in foil. It's interesting that some people can believe in the possibility of nazi bases beneath the antarctic ice, nazi super weapons like Die Glocke, and nazi Haunebu saucers, but others can't accept the moon landings made possible by some of the very same nazi scientists and technology via operation paperclip. No you don't know that. Lol, you BELIEVE that. You need to learn the difference between fact and belief. You sound really stupid when you don't know the difference. Whether it was possible or not doesn't make a difference. Geopolitically we could not afford to have a failure and there was no way that they could have known that they could have possibly made it successfully so at least the first trip in 69 was probably faked because we could not geopolitically afford a failure. Yes, this completely unverified story, complete with lack of evidence, totally exposes an historical event witnessed by millions. Epic fail. This has been debunked countless times. That is not an argument. The allies could not have afforded to fail on D-Day... does that mean the Normandy invasion was a hoax?